I am a Nurse by day, and a passionate triathlete by morning, evening, and weekend. I discovered the sport of triathlon in 2014, when I was facing an impasse in my personal life. I was on the edge of depression, and suffering from extreme bouts of anxiety. I was working too much, and neglecting my physical and mental health. Being a medical professional, the voice inside my head spoke to me, and said that if I don't do something, I will not survive. Some people call it coincidence, but I call it fate. I turned on the tv, and saw the Ironman World Championship in Kona. I was immediately drawn to what I saw. I saw the best qualities in the human spirit coming through in the form of raw grit. It was nothing short of inspirational. I have always been an active person, gravitating outdoor sports and experiences that push my limits. Growing up, I was an avid swimmer, soccer player and snowboarder. I didn't know much about biking, but I was drawn to the idea of learning. In the World Championship, I saw regular people achieving extraordinary things. I felt a great sense of pride watching them, and I decided in that moment that I wanted to be a part of it. That is the moment that I made the commitment to train for my first race: Cozumel 140.6 in 2014. 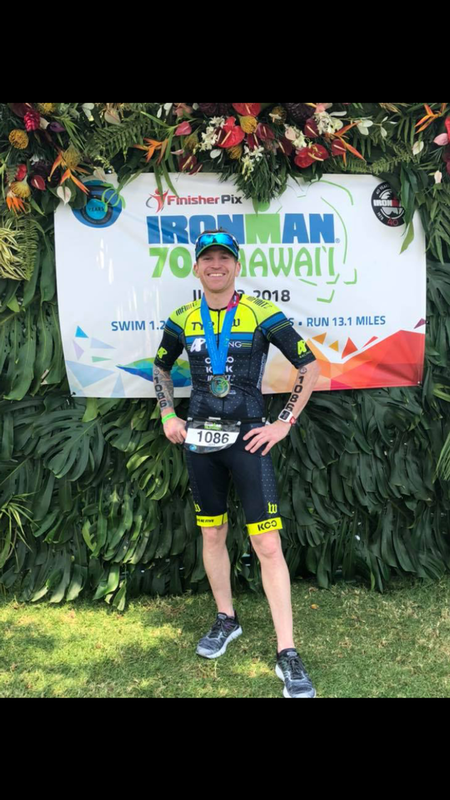 I have always considered myself to be a hardworking, tenacious person, with a high threshold for pain and adversity, but training for my first Ironman taught me how to access deeper levels of inner strength (finishing with a fractured femoral head). Since that first race, I have been blessed with the opportunity to compete in several 70.3 and 140.6 races across the USA.